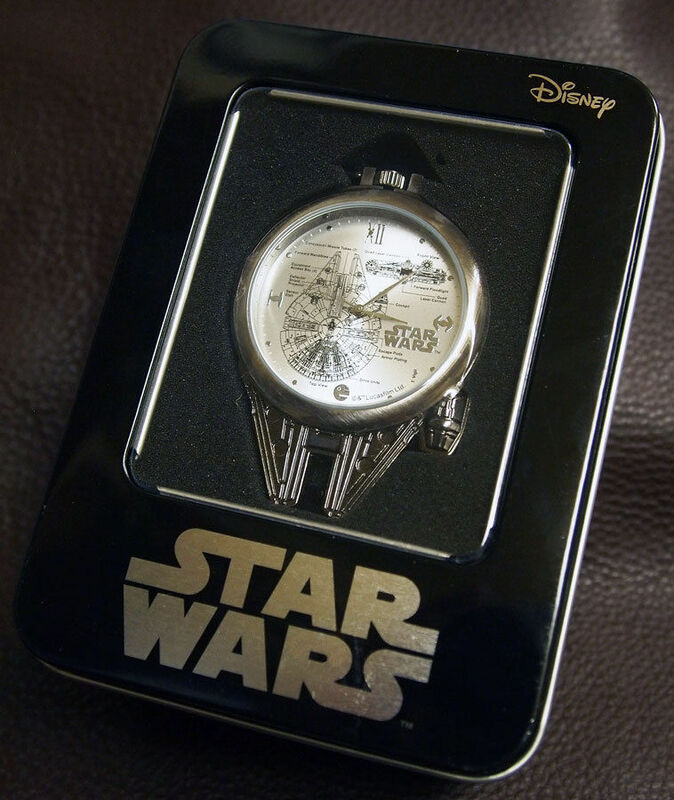 These pocket watches by SEGA were available as a prize in the Japanese Disney theme park and as far as i am aware, were not generally available outside of that. 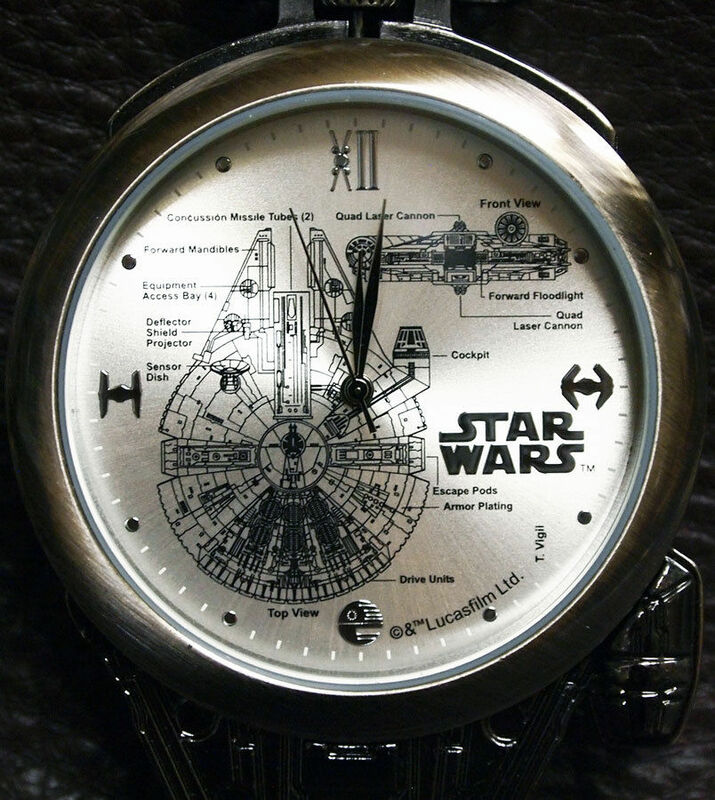 The case is metal and comes off to reveal the clock face of the Millennium Falcon blue prints. 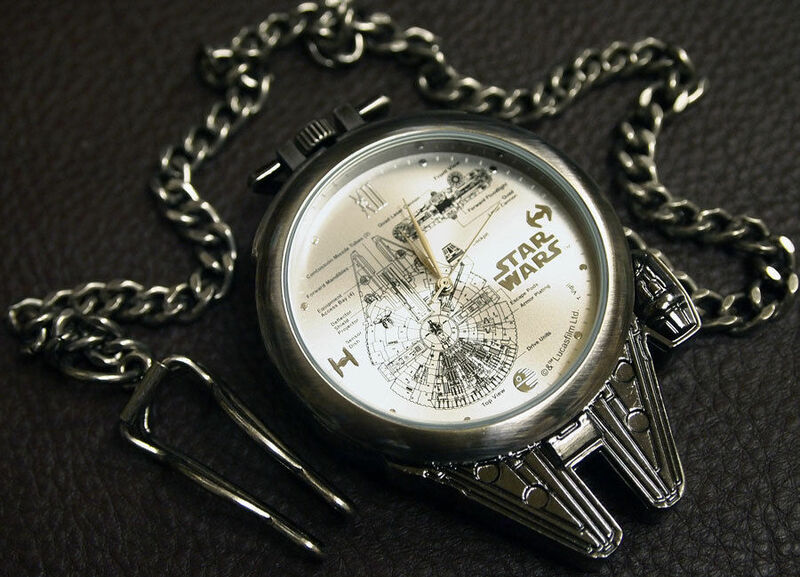 I think it looks pretty cool and the inclusion of the X-Wing on the 12 o’clock mark is a nice touch. It comes in quite a nice little display case, too. 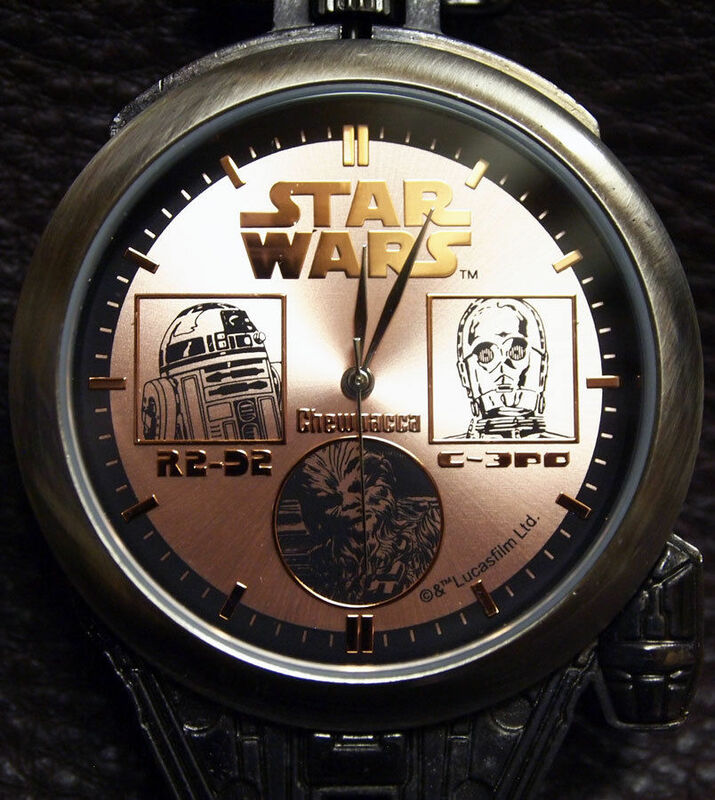 There’s also a second one with the droids and Chewbacca on the clock face. Note that postage from Japan doubles the cost of these, so expect to pay around $50 in total. 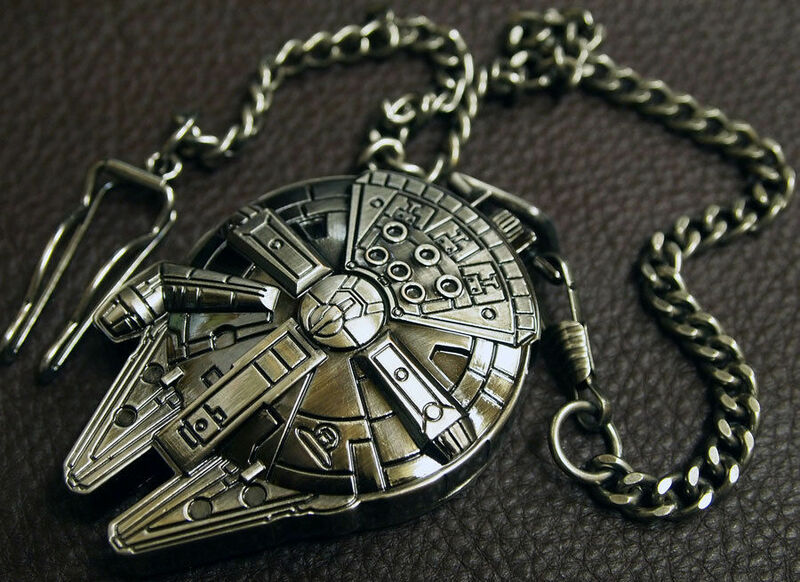 This entry was posted in Jewelry, Uncategorized and tagged C3 P0, Chewbacca, Millenium Falcon, Millennium Falcon, R2 D2, Star Wars. Bookmark the permalink. Try ebay. I’ll try and find the link from the guy I bought from.